In this April 13, 2017, file photo, U.S. Sen. Jeff Flake, R-Ariz., speaks at a town hall event at the Mesa Convention Center in Mesa, Arizona. Sen. Jeff Flake called on Republicans in Congress to more forcefully push back against President Donald Trump and said there is growing concern behind the scenes that the president could take action against special counsel Robert Mueller. 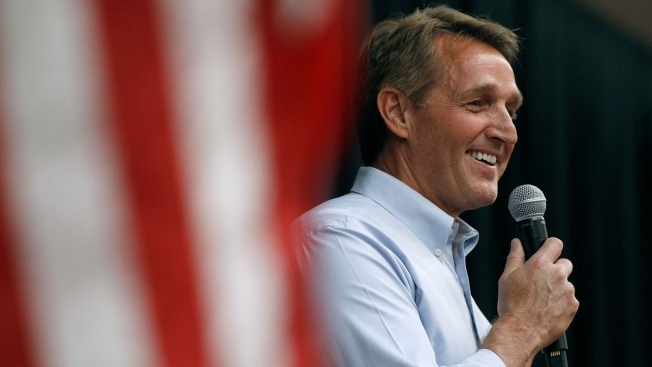 While he isn’t running for re-election to the Senate, Flake also left open the possibility that he could challenge Trump in a primary in 2020.